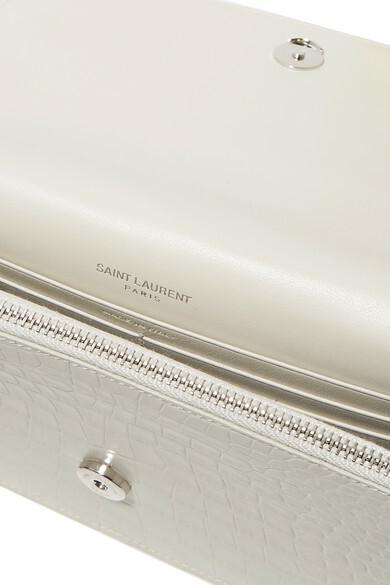 Saint Laurent's 'Kate' bag has been flawlessly crafted in Italy from croc-effect leather in a versatile ivory hue. 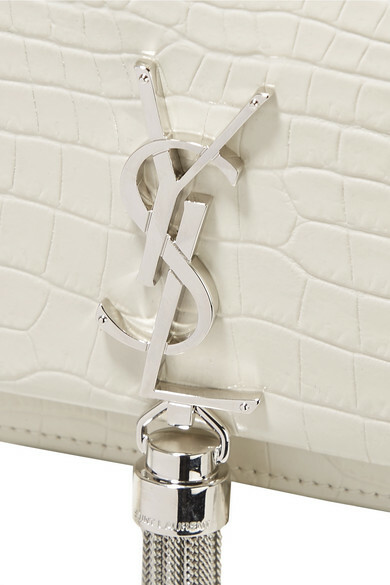 It's detailed with the label's iconic 'YSL' plaque and fringed tassel and opens to a wallet-like interior that's fitted with card slots and has enough room for your phone and lipstick. 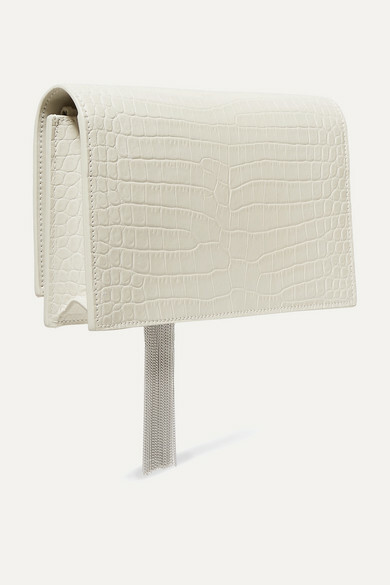 Detach the chain strap to carry it as a clutch. 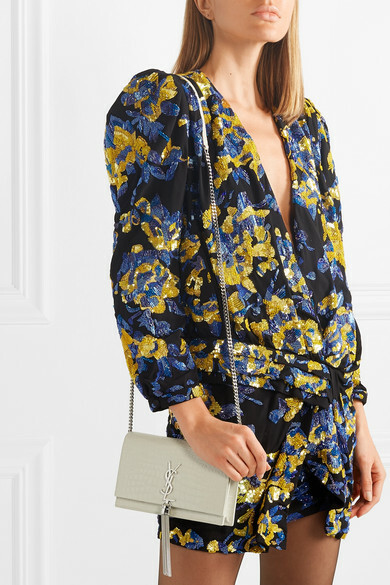 Shown here with: Saint Laurent Dress, Saint Laurent Pumps, Falke Tights.